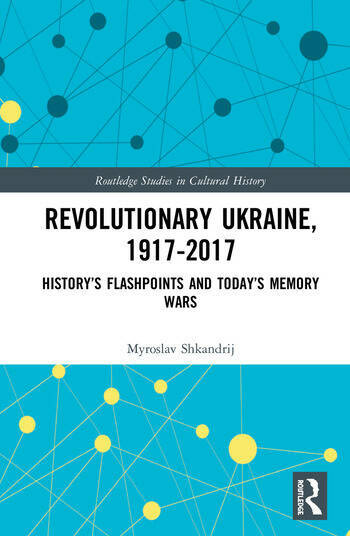 This book examines four dramatic periods that have shaped not only Ukrainian, but also Soviet and Russian history over the last hundred years: the revolutionary struggles of 1917-20, Stalin’s "second" revolution of 1928-33, the mobilization of revolutionary nationalists during the Second World War, and the Euromaidan protests of 2013-14. The story is told from the perspective of "insiders." It recovers the voice of Bolshevik historians who first described the 1917-21 revolution in Ukraine; citizens who were accused of nationalist conspiracies by Stalin; Galician newspapers that covered the 1933-34 famine; nationalists who fomented revolution in the 1940s; and participants in the Euromaidan protests and Revolution of 2013-14. In each case the narrative reflects current "memory wars" over these key moments in history. The discussion of these flashpoints in history in a balanced, insightful and illuminating. It introduces recent research findings and new archival materials, and provides a guide to the heated controversies that have today focused attention scholarly and public attention on the issues of nationalism and Russian-Ukrainian relations. The Euromaidan protesters declared that "Ukraine is not Russia," but the slogan was already current in 1917. This volume describes the process that led to its reappearance in the present day. Myroslav Shkandrij is Professor of Slavic Studies at the University of Manitoba.